The intrigues and scandals of the realm's greater nobility are a subject of fixation, and even obsession, for the entire kingdom. Most especially for the minor nobility, whose lives and fortunes can be sustained — or shattered — by what happens at court. 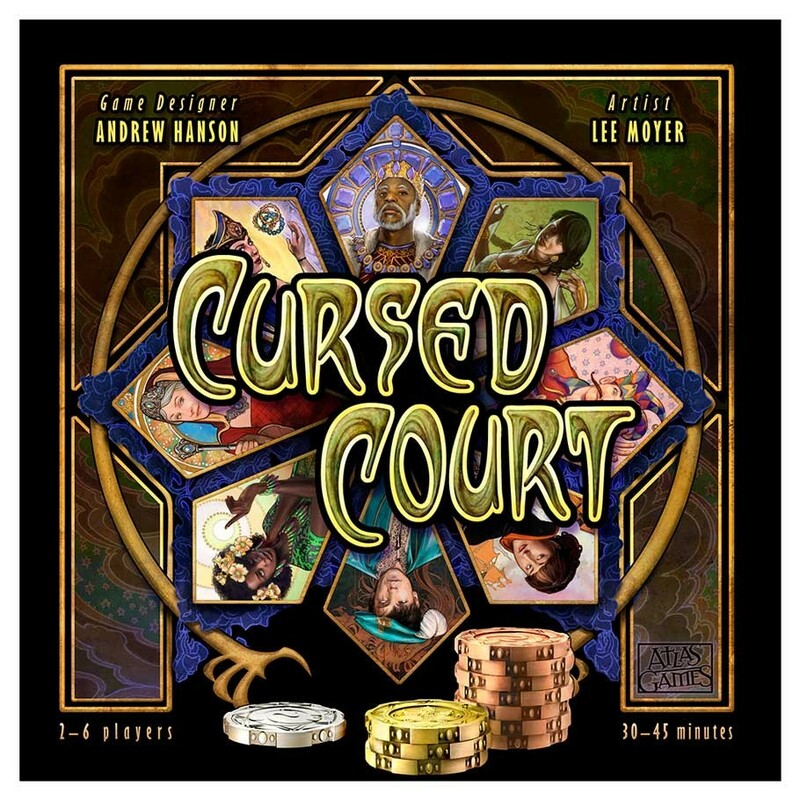 In Cursed Court, you must consider a lattice of shared, hidden, and public information, then wager your limited influence in each season of the year. As the machinations of the nine key nobles are progressively revealed, your fortunes rise and fall. After three years, a winner is crowned.